Single malt is a much more sought-after form of whisky than blended, and there are three main reasons for this. Firstly, single malts are produced in much smaller quantities than blended, therefore adding to their rarity value. Secondly, single malts are more attractive to the connoisseur, collector and - therefore - the investor, owing to their high quality, individuality, greater age, vintage value, etc. Thirdly, single malt whiskies have a long history of performance, which gives buyers the confidence that this is a sector worth considering. Whisky investing should be based on certain well laid out criteria. 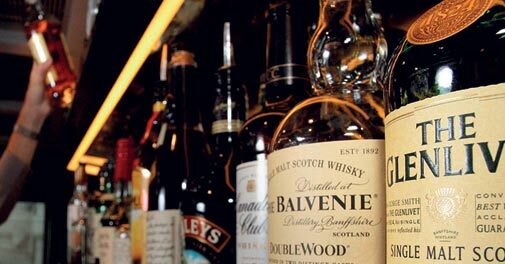 Most importantly, pick bottles from well-known, highly respected distilleries that produce fantastic whiskies. All single malt distilleries such as Macallan, The Dalmore, Balvenie and Talisker are smart picks. Silent stills - distilleries that have closed down - are worth looking at too; try Brora, Rosebank or Port Ellen. Limited editions from "premier cru" distilleries can also offer strong value appreciation. Invest in bottles, because then you have a known product, from a known distillery, bottled at a known quality level. When you buy a cask of whisky, you can't be too sure of the quality of the wood and, therefore, the quality. You then have to pay warehouse rent for the cask, shell out more for packaging design, labelling, bottling, etc. You may even end up with a leaky cask that will let your investment flow the wrong way.